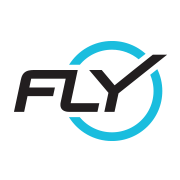 Start taking classes at Flywheel Sports: Stadium Cycling and other studios! There are no upcoming “Flywheel: Power 45” classes on this day. Shoes are provided, but you must bring socks. This location does not provide complimentary water bottles so bring your own water bottle. SmartWater bottles are available for $2. Late-Arrival Policy: users who arrive five minutes after class start time will not be permitted to enter class. This studio was previously known as "Flywheel" on ClassPass! Please be sure to check-in to class prior to class time to avoid a no-show fee. This studio has four check-in options: Self check-in via Flywheel app Auto / geo check-in via Flywheel app Self check-in via studio tablet at the studio entrance Check in with Flywheel staff member at the front desk We also encourage you to download the Flywheel app to utilize the auto check-in feature. You can download the most updated version of the Flywheel app and follow the prompts to enable location and Bluetooth. Once complete, you’ll be automatically checked into class as soon as you enter the studio! I enjoyed this class but would have appreciated a little more engagement from the instructor. He just barked out orders and quite frankly, they were hard to follow and constantly changing. I felt like their was the opportunity to better annunciate because everything sounded muffled plus the loud music. Not much of a cycling person but this class was great. The instructor was nice, informative and encouraging. Definitely a must !